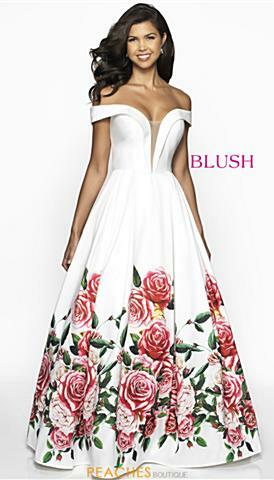 Blush by Alexia Designs showcases a collection of stylish gowns perfect for any occasion including this years prom. Dresses in the Blush collection are kind to your figure, with sizes up to 30 in many styles. The collection offers dress styles from elegant A-lines, to stunning two piece dresses to seductive mermaid styles that will help give you that hourglass shape. 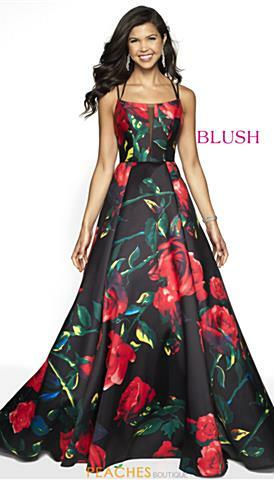 If long gowns are not your thing, Blush homecoming dresses come in an array of prints, patterns, and colors that are also excellent for your cocktail parties or even a night out on the town. 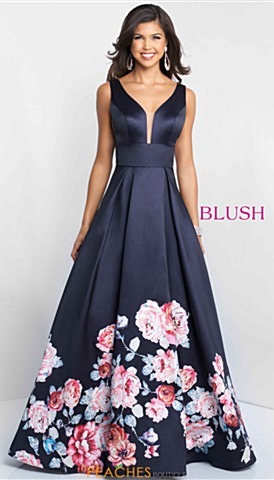 Whether your goal is to look dainty, dramatic, or right out smoking hot, Blush’s 2019 prom collection is designed in multiple colors to suit any year-round event! 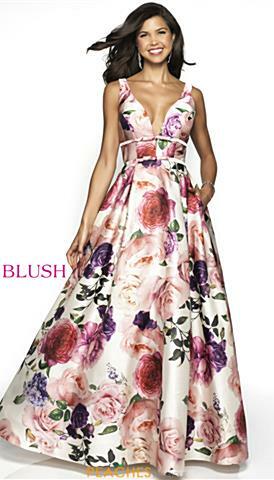 To see more Blush dresses, visit the designer's site here. Why Should I Wear Blush Dresses? 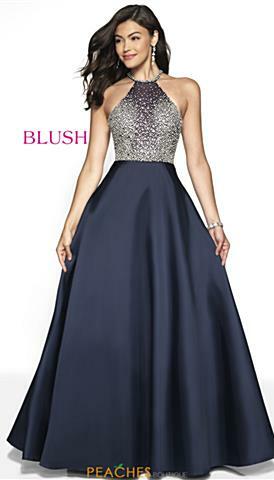 It is easy to show off your unique sense of style in a Blush prom dress. There are many styles embellished with oversized floral print, unique watercolor designs, or luxurious brocade fabric. If you like something more toned down, there are many options without beadwork or print in both figure hugging or flowing styles. If you are looking for something more over the top, there are styles adorned head to toe in shimmering sequins which create gorgeous swirling patterns down the length of the dress. Blush is sure to have something that perfectly reflects your personality no matter what style you are looking for. Blush is also proud to offer great value at an affordable price. They work hard to ensure quality of fabric and craftsmanship on a wide variety of styles. 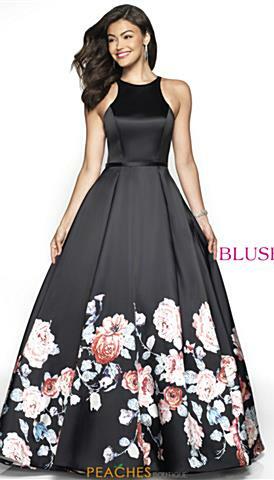 Whether you are looking for an over the top gown with tiers of flowing fabric down the skirt or a short and sweet Blush homecoming dress, you are sure to find something that fits your budget. 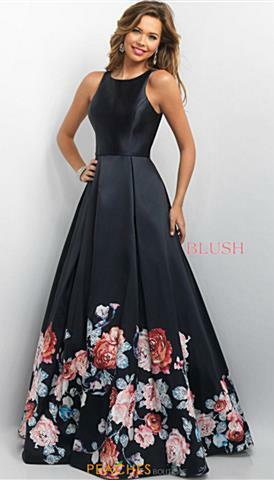 These dresses are made with you in mind, with careful attention paid to seams, belts, and bodices that will make you look your best at your upcoming events. With trendy details like high neck chokers, off the shoulder ruffles and glittering fabric, there's no way you can go wrong with a 2019 Blush gown.